UC’S Illegal Actions Will Not Stop Us From Fighting! 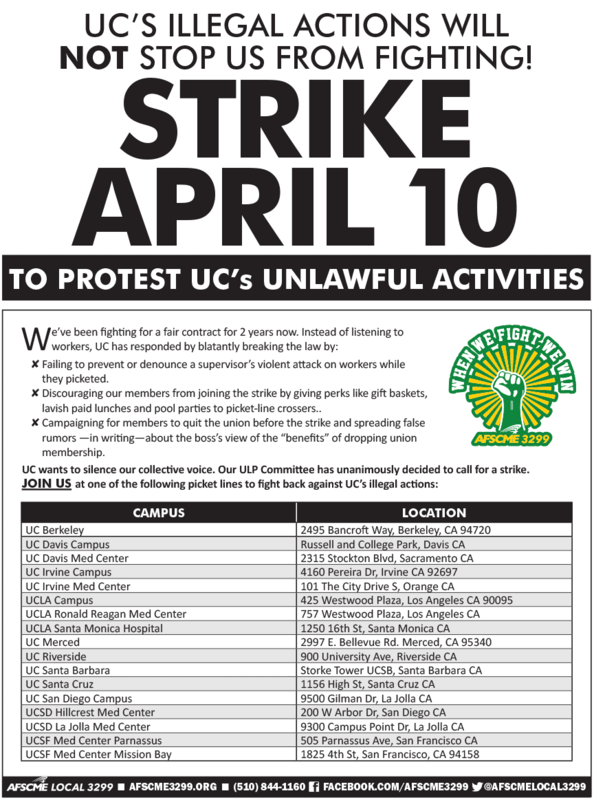 Strike April 10th To Protest UC’s Unlawful Activities! For FAQ's about the STRIKE, click here.